As the author of three books on the Master of Suspense, including a ‘how to’ write a thriller, called Alfred Hitchcock’s Movie Making Masterclass, I was naturally inspired by his stories and screenwriters when constructing my screenplay, Playing Mrs. Kingston, which I subsequently turned into a novel. The story, set in 1950s New York, is about a woman who is asked to pretend to be a rich man’s wife, but when he is murdered, the woman’s boyfriend is accused. I was particularly inspired by those source novels Hitchcock adapted into memorable films, especially The 39 Steps by John Buchan, Strangers on a Train by Patricia Highsmith, and The True Story of Christopher Emmanuel Balestrero by Maxwell Anderson. In tone, my novel resembles some of Hitchcock’s most famous movies such as Notorious, Dial M for Murder, Marnie, Rebecca, and The Wrong Man. Hitchcock’s films follow the conventional three-act structure in stories as diverse in plot as Shadow of a Doubt, Strangers on a Train, North by Northwest, Psycho and The Birds. In the first act, it’s setting up who the characters are and what the situation of the whole story is. The second act is the progression of that situation to a high point of conflict. And the third act is how the conflicts and problems are resolved. The third act has the highest point of conflict, just before the resolution, and it builds to a climax that is bigger emotionally than anything that has happened in the second act. Good writing is subtext, reading between the lines, rather than ‘on the nose’ dialogue. Much of the dialogue in Hitchcock’s best screenplays, such as Notorious, Rear Window, and North by Northwest, is indirect, with layers of meaning. Nobody says anything straight; the dialogue is oblique, but perfectly understandable. It’s more interesting to say things through a literary device and have people remember the lines. Good dialogue should have a rhythm and be full of conflict, like Guy Haines’ epic tennis match in Strangers on a Train, a verbal volley match, until someone scores the point. In my novel Playing Mrs. Kingston, there is much verbal sparring between Catriona, the protagonist, and Radcliffe, the detective, who is chasing her in a high stakes cat and mouse game. 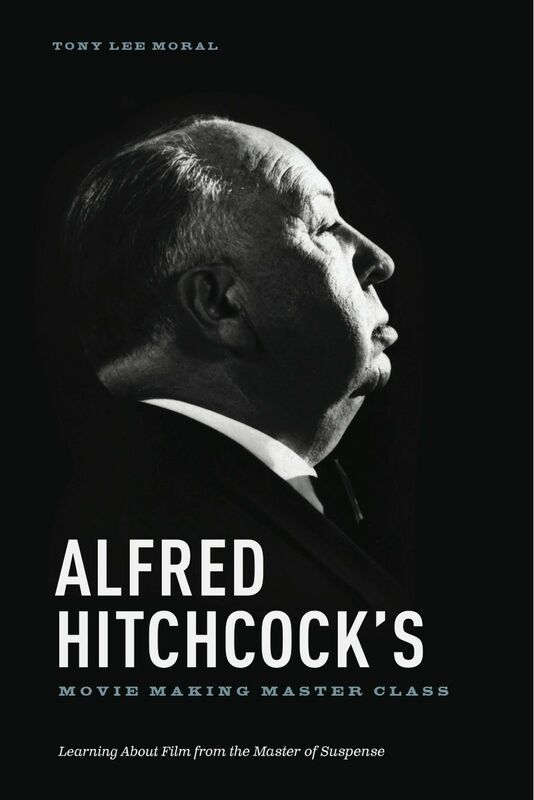 Hitchcock always tried to tell the story in cinematic terms, not in endless talk. He was a purist and believed that film is a succession of images on the screen; this in turn creates ideas, which in turn creates emotion, which only seldom leads to dialogue. He also believed that not enough visualizing was done when writing a screenplay, and instead far too much writing dialogue. A movie writer types a lot of dialogue in his word processor and becomes satisfied with that day’s work. There is also a growing habit of reading a film script by the dialogue alone. Hitchcock deplored this method, which he saw as lazy neglect. Effective visualizing occurs during the opening of Rear Window, an example of Hitchcock working beautifully with his scriptwriter John Michael Hayes. Hitchcock uses a succession of images of items around L.B. Jeffries’ apartment to tell the story of how he came to break his leg, why he’s in a wheelchair and what his occupation is. All this is done with the use of the visual rather than dialogue. In Hitch’s 1956 version of The Man Who Knew Too Much, in the scene at the Albert Hall with James Stewart and Doris Day, Hitchcock and his writer Hayes had written dialogue for Stewart to say when he chases Day up the stairs in the climatic sequence. But Hitchcock felt that without dialogues, this whole final sequence where the assassination is about to take place – of a central figure from some nameless country – would be stronger. He discovered he didn’t need dialogue at all. Tony Lee Moral is a documentary filmmaker and author of three books on Alfred Hitchcock, (including ‘Alfred Hitchcock’s Movie Making Masterclass’ published by Michael Wiese Books) and specializes in mystery and suspense. His novel ‘Playing Mrs Kingston’ has just been published by Zhamae Press. Let me keep you in suspense for a little while. In my view, a thriller is a film in any genre but with added fear. Fear and suspense dominate the thriller – an almost constant sense that something frightening is about to happen – or is happening right now. This contrasts with a classic action-adventure, where the dominant emotion is fast-moving excitement. 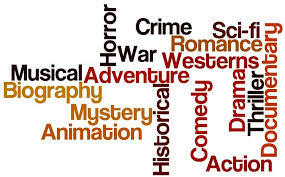 The most common thrillers are crime stories (Collateral, Cape Fear, Psycho), though there are many spy thrillers (The Spy Who Came In From The Cold), psychological thrillers (Side Effects) and comedy thrillers (Charade). For obvious reasons, it’s more difficult to create thrillers from certain genres, such as sports, though I know of at least one – Rollerball. And the 2011 movie Margin Call is a gripping financial drama thriller. All good stories contain suspense – however in a thriller the suspense is cranked up (for you fans of Spinal Tap) to number 11. Genre starts with emotion, and as we’ve seen a thriller is all about fear. However, other genres in the film will demand their own emotions too. If your thriller is also a crime story, for example, you also need the emotions that audiences expect from a crime story – primarily injustice and/or mystery. In Collateral the story centres on an innocent taxi driver who is hired by a man to drive him round LA, only to find that he’s chauffeuring a ruthless hitman conducting a series of hits. Worse, the cops think he’s the killer. Miss out the injustice of his plight, and the mystery of who the final victim is to be, and you miss a large part of what the audience needs. The second step is to identify your antagonist. To build up the fear that must run through the story, the villain of your thriller will need to be powerful and ruthless. 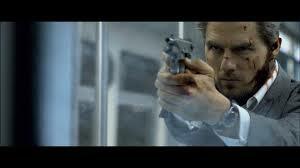 Like the hitman in Collateral, he must be ready and able to inflict harm at a moment’s notice. The threat must be seen as early as possible. Most often, that threat will be violent – hence the dominance of crime stories as thrillers. The current BBC 4 Australian thriller series The Code combines both crime and spy genres. The first episode opens with a dead body and a politician betraying a colleague. We are in no doubt from the start as to where the danger lies. (The 2013 movie Side Effects is a rare example where the threat is not so much one of violence or death as the destruction of a man’s career and marriage). Despite resembling the monster in a horror movie, a thriller antagonist shouldn’t be all-powerful. He must be human. In the best thrillers, we understand the antagonist’s motivations, even if we don’t sympathise – making the danger feel all the more real. This also adds to the suspense by both making the villain less predictable and also offering a greater amount of hope. Like a light that shows up the darkness, the possibility of hope ironically serves to highlight the fear. At the same time, a thriller needs a particular kind of central character. As we’ve seen, there are parallels with horror, but in a horror story the protagonist is very much a victim, with only his wits to save him. In a thriller, the central character normally has more than that. She has skills she can, and does, draw on. In the gripping 1967 film Wait Until Dark, the protagonist, Susy, is blind and being terrorised by vicious criminals. But despite her disability she has intelligence and resources to fall back on. For example, she manages to black-out the lights so as to even up the odds. Of course, the villains find a way round that, and the suspense mounts. In The Code, Ned, a journalist investigates a suspected cover-up. The forces against him are vicious and unpleasant, but unlike in a horror movie, he has people he can call on, investigative skills he can use. Even his brother, who seems to have autistic tendencies, is relatively high functioning, especially when it comes to hacking computers. All thrillers need moments of sheer terror. The best kind of terror scenes combine unpleasant violence with sudden surprise. However, not too often – in this genre having too many big moments will reduce their effect. Stephen Spielberg tells how test audiences responded well to a shock moment in Jaws. But as soon as he tried to repeat the effect, the original stopped working! In Wait Until Dark there are only thee major shock/terror moments in the entire film – but they are brilliantly effective. Thus a thriller concentrates on building tension, giving the audience few moments of release. For all this, it’s crucial that we have reasons to care about the protagonist – which means she must be rounded and credible. However, in thriller so much emphasis goes on raising the stakes and developing the fear factor, that there is considerably less screen time available for developing character. Other films can use complex subplots to enhance characters, showing different traits and moods. But spend too much time away from the suspense and a thriller begins to droop. This probably presents you with your biggest challenge – balancing the needs of the plot with finding time to evolve characters who are credible and three-dimensional. There’s no easy answer, you have to examine every single moment to see what you can squeeze out of it. Thriller is a deceptively challenging genre. It takes energy, focus and enormous attention to detail. But it’s also a very popular genre, and if you get it right the rewards can be enormous – not only in financial terms but also artistic satisfaction.